Problems with the heart can not always be seen right away – only in films a person grabs his chest and picturesque falls to the floor, in real life the manifestations of cardiovascular diseases can be completely different. Tachycardia is an excessively frequent heartbeat at rest. 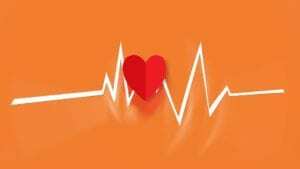 Usually, in adults at rest, the heart rate is between 60 and 100 beats per minute (some doctors limit the upper limit of a healthy heartbeat of 90 beats per minute). The threshold of the normal heart rate depends on the person’s age. First of all, it should be noted that tachycardia is more a symptom than an independent disease and can be caused by various causes. Therefore, in the treatment of tachycardia, it is important to establish and eliminate these factors. The causal approach is the basis of the ideology of treating such a condition in our clinic. That allows us to effectively solve the problem of tachycardia. With rapid heartbeat, the efficiency of the heart goes down. This leads to a deterioration in the supply of blood to organs and parts of the body, including the heart itself. With tachycardia, there is an increased need for oxygen with myocardium (cardiac muscle). If this condition continues for a long time, it can lead to myocardial infarction (heart attack), caused by the death of myocardial cells due to lack of oxygen. Some patients may not have any symptoms or complications associated with tachycardia. However, this condition significantly increases the risk of stroke, sudden cardiac arrest or death. Many patients with tachycardia do not notice any symptoms of heart failure at all. And they learn about this problem only after a medical examination. Diagnosis of tachycardia is usually based on the results of examination and questioning of the patient, as well as a number of medical studies. The risk of complications depends on several factors, namely severity, type, degree, duration of heart rhythm disturbances, and also from concomitant diseases. The formation of blood clots, which greatly increases the risk of a heart attack or stroke. Heart failure – if the tachycardia is not treated, then the heart gradually weakens. This can lead to heart failure – a condition where the heart can not pump blood through the body properly. Sudden death – usually only observed with ventricular tachycardia or ventricular fibrillation. Options for the treatment of tachycardia depend on the causes of this condition, the patient’s age, his state of overall health and some other factors. The treatment is aimed at normalizing the heart rate, preventing subsequent episodes of tachycardia, and also reducing the risk of possible complications. The effectiveness of the treatment of tachycardia largely depends on the correctness of the establishment of the causes of rapid heart rate.